the production and exportation of dried fruits as well as the trading of most famous Greek quality products all over the world. Mixed fruits (currants- sultanas-raisins & citrus peels). Our site is located in the most famous agricultural area, for all kind of grapes, of Corinthian province....NEMEA. Our production and operation facility area is built on 6.500sqm.with total production capacity 22 mt per shift. 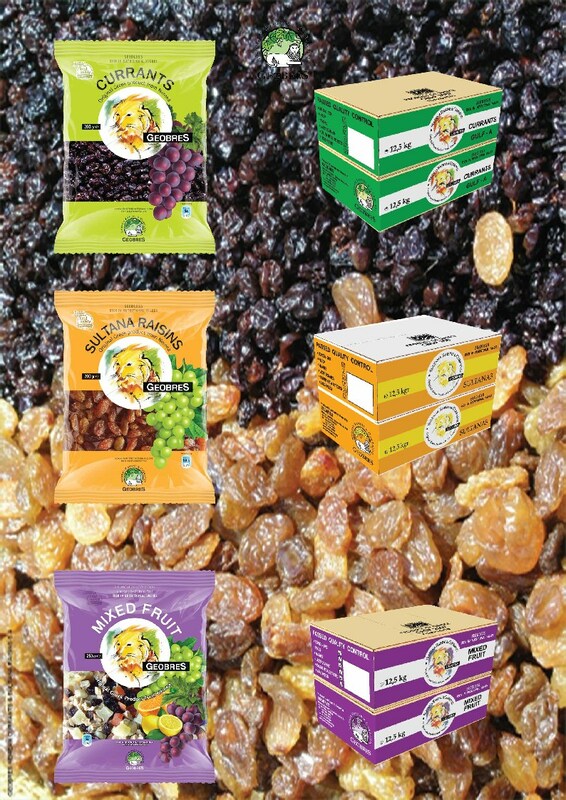 We have been involved within the raisins industry for three generations. The extensive experience accumulated over this time, in particular for our products have allowed us to develop competitive advantages that have increased our markets all over the world, since we export Greek quality products all over EUROPE, USA, CANADA, AUSTRALIA , ASIA, RUSSIA , AFRICA etc. Main customers are global importers of bakery and food industry ingredients and retailers. Our production and operation management is performed at all times under our sole supervision. We feel that by direct control at all the stages of production, from the beginning of the yield to the packing stage, allows us to assure a premium quality to our customer. for delivering best quality dried fruit products . 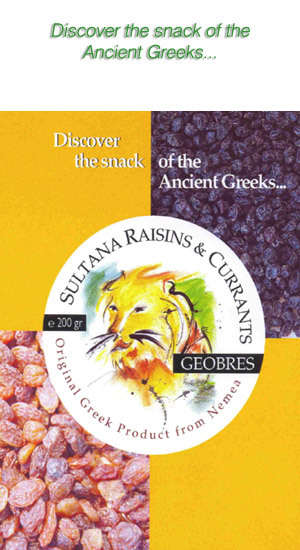 A brief presentation of GEOBRES S.A. manufacturing, packaging and trading of Corinthian Currants, Greek Sultanas and raisins. Company is located in Nemea -Corinth -Greece. Exports Greek quality products all over the world for more than 20 years. Discover the snacks of the ancient Greeks! !